Whether your passion is Princess Leia or the Predator, our Super Loot boxes deliver an epic hit of merchandise to feed your collectibles addiction. 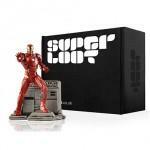 Our team of gadget lovers and gaming freaks sift through the best products on offer before introducing them to our customers in every Super Loot box. Super Loot geek boxes are aimed at anyone who loves and lives the geeky life. Each box is a mystery, but you can be sure of finding the latest gear from both established and emerging companies in your package. Every Super Loot crate is carefully curated and assembled by us, our team cherry pick the kind of tie-ins and hard to source products you want to unbox. They know you’ll love them because they do too! We’ll always provide our customers with handpicked goodies, featuring the best in gaming, sci-fi, movies and comic exclusives, and deliver them straight to their door. 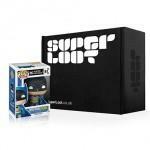 Be the first person to tell us what you think about Super Loot Mystery Box and you'll save £2.50 on your next purchase!